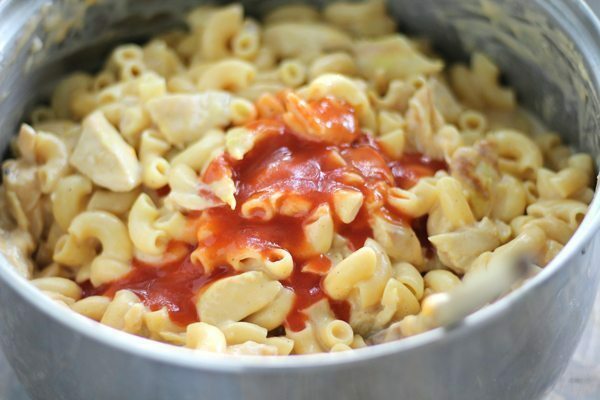 A classic dreamy and creamy macaroni and cheese recipe is made even yummier by adding grilled chopped chicken and loads of buffalo hot sauce. Every macaroni noodle loaded bite is full of chicken and cheesy tangy flavor with just a little bit of heat. Addictively yummy. Easily in my top 5 macaroni faves. 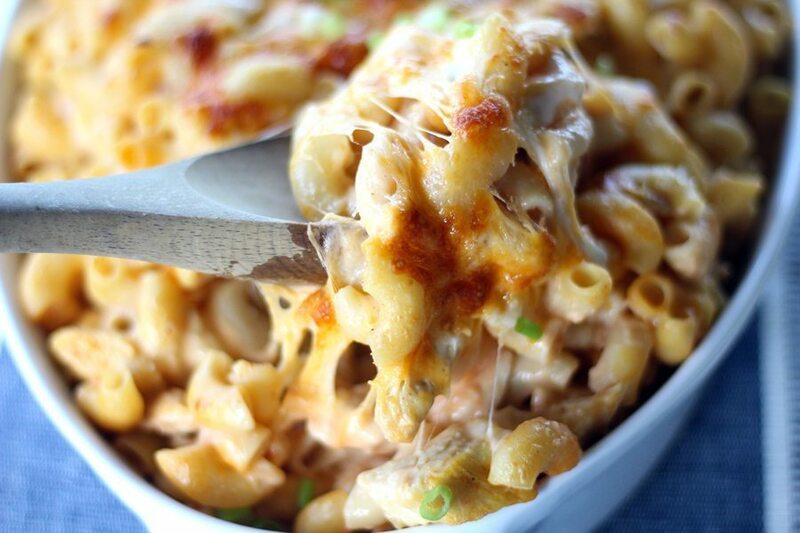 Buffalo Chicken Mac and Cheese. Do this. Don’t you love how everyone tries to take a recipe and make it buffalo flavored? Yes, me too. Guilty as charged. You know why people do this? Because it is delicious. Take a salad. Make it buffalo chicken. Instantly better. Chips and dip. Add buffalo chicken. Brilliant. When I kick the bucket, I hope I go with a bowl of this Buffalo Chicken Mac and Cheese in my hand. Seriously. How could it end any better? Cheese. Pasta. Chicken. Hot Sauce. The only thing missing in this scenario is a big cupcake with pink frosting but hey…I’m going to try not to complain on my way out. 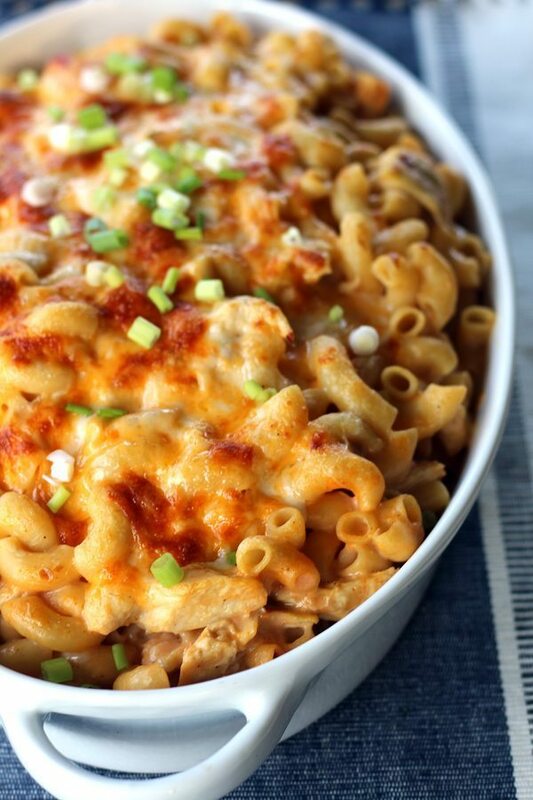 What makes this Buffalo Chicken Mac and Cheese even better? It is so freaking easy to make. You make this recipe and you come out looking like a kitchen genius. You will love it. Your kids will love it. And it is easy-peasy, nice and cheesy. Speaking of cheese, I highly recommend shredding your own. 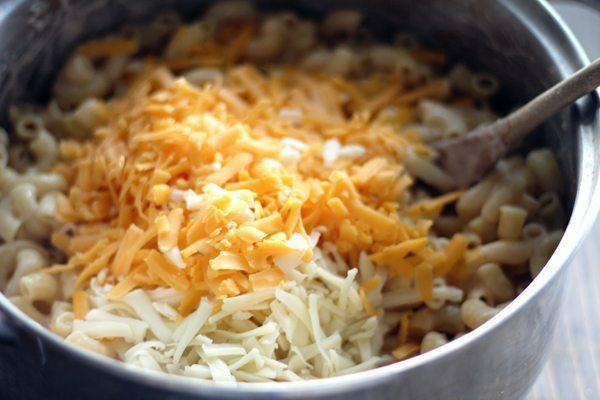 Using pre-shredded cheese changes the flavor and consistency of the ooey-gooey goodness. Use your favorite cheese combo. We went with Monterrey Jack and Sharp Cheddar because we love those flavors and thought it would go well with the buffalo chicken flavor we were after. Velveeta. I have no shame whatsoever in using Velveeta cheese when necessary. It has a tendency to form into a solid block of pasta when it cools, however, so use at your own risk. We grilled up 3 chicken breasts for this Buffalo Chicken Mac and Cheese recipe, but feel free to use whatever chicken you’d like. Rotisserie chicken would be an excellent choice. The more flavor in your chicken, the better this will be. 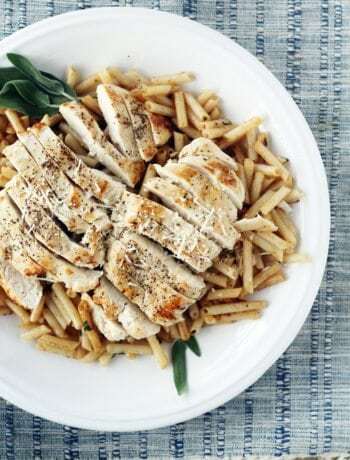 Make sure you use plenty of chicken so every bite has a piece. This is a main course, after all. Then the fun part. Making it zippy. You don’t want it blazing hot. (Or maybe you do, but I didn’t.) I wanted a nice tangy, slightly spicy flavor that would remind me of my favorite mild buffalo chicken wing. Frank’s hot sauce is what we used for this Buffalo Chicken Recipe. 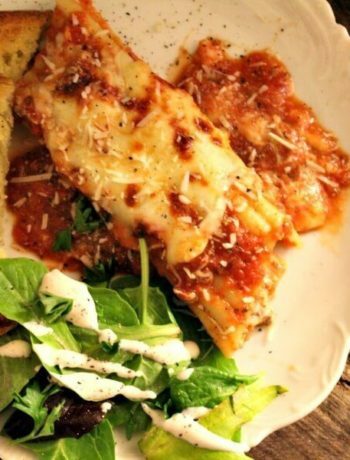 The buttery flavor in the homemade sauce with the Frank’s makes this recipe perfect. This post is NOT sponsored by Frank’s Red Hot. However….Frank, if you are listening, have your people call my people. 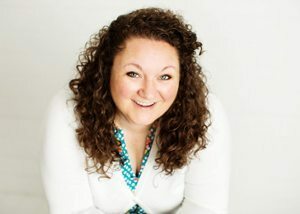 And…my people = me. 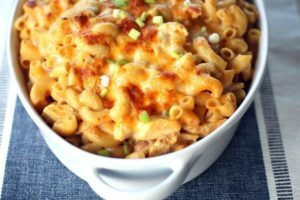 Top your pan of Buffalo Chicken Mac and Cheese with more shredded cheese then pop it under the broiler for just a few minutes until golden and bubbly and to die for. Broiled cheese is the things dreams are made of, isn’t it? Garnish Buffalo Chicken Mac and Cheese with fresh chopped green onions for a little crunch and color and dig in. Ooey and gooey macaroni and cheese with tender chunks of chicken and buffalo spice flavor. In my Top 5 Macaroni recipes of all time. Cook macaroni according to package directions for aldente. Drain (do not rinse) and set aside. In the same pot, melt the butter over medium heat. Whisk in the flour and cook and whisk until smooth and bubbly. Cook for 2 minutes. Gradually stir in the milk, whisking until smooth. Reduce heat to medium low and cook the butter, flour and milk mixture until thick, about 5 to 7 minutes minutes. Stir occasionally. Add the mustard, HALF the salt, and black pepper. Combine well. 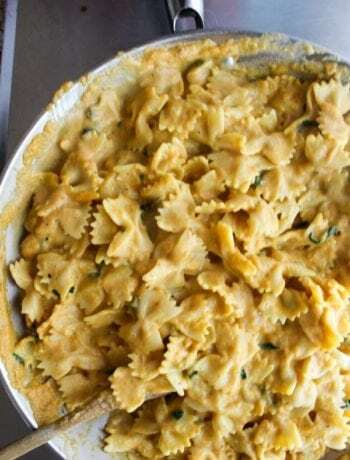 Transfer the pasta mixture to a casserole dish. Sprinkle the top with the remaining cheese. 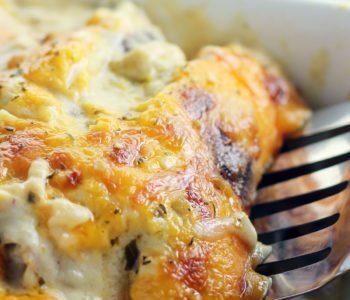 Place under the oven broiler for a few minutes until the cheese on top is browned and melted. 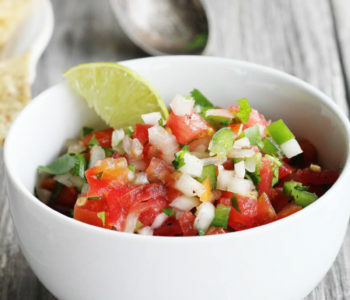 Remove and sprinkle with chopped green onions if desired. Um, Hi-hello!!! Must make this/eat this NOW. Yes it is quite enjoyable. Says me in my stretchy pants. This looks amazing. Perfect comfort dish for watching the game! Girl let me tell you, this is yum. Tangy and cheesy. I have never thought to pair buffalo chicken and macaroni and cheese before. It sounds delicious! It is true! The buffalo makes things better! 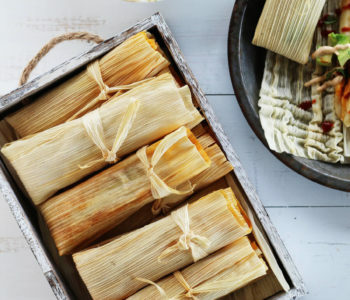 and this recipe is no exception! This looks so creamy, rich, decadent and delicious! I know my family will love it! 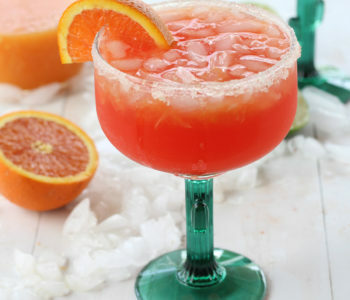 Hmmm, yum! Creamy cheesy delicious goodness. What a great way to enjoy two of my favorites..together! I love mac n cheese but then making it zing with spicy sauce that takes it to another level I am so hungry now. So, I’m supposed to watch my carbs, but I definitely have cheat days. 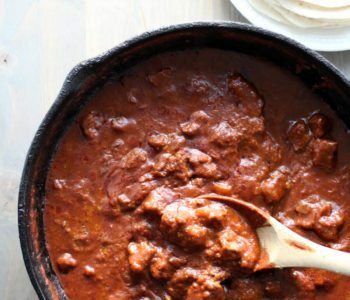 This recipe has just moved to the top of my list! Amazing! This is the LIFE ! I love such comfort food. I think I love mac and cheese more than my kids honestly! This looks so perfect. Love everything cheesy. I don’t think there is anything better than good ol mac and cheese! This looks fantastic…I love your twist on this classic. YUM! Never would have thought to add the buffalo chicken twist to mac and cheese, but it sounds like a match made in heaven! Oh, my yum! This looks really great! Teri, this sounds great! Cant wait to try it. I also have a love for Tennessee football. What did you think that game yesterday? Go Vols!!! I just made this and it was great! It was at least as good as the buffalo mac I have gotten in restaurants, if not better.